It happens every year, doesn't it? You get asked what you want for the holidays and your mind goes blank. Deer-in-headlights looks ensue, followed by a sheepish shrug, and then . . . the unmistakable disappointment of yet another tool or tie waiting for you . . .
Don't worry - we've got you covered! Just print out this handy 5.1 Audiophile and Movie Buff Gift Guide, circle the one you really want, and leave it out conspicuously! You're sure to get something you love this year. Oh yes, you can have 14 albums in unscratched glory, just like when you first brought them home! This collection includes a 252 page hardcover book to pour over while you're listening to the Abbey Road Remastered editions of The White Album, Sgt. Pepper's Lonely Heart Club Band and more! If someone special on your list has recently rediscovered the pleasures of long listening sessions in stereo glory, this set might be the perfect gift. Price from www.TheBeatles.com - $450. If you've been waiting for an Ultra HD 4K television set so you can brag that you have 4 times the quality of 1080p HD, then this might just be the set for you. An internet-connected, pop-up camera-enabled, gesture-controlled marvel that comes complete with voice recognition software and a quad-core processor, you'll be sure to have plenty to do after the turkey wears off just trying to figure out all the new features. Street price - $5,000. Why would an audiophile need another gaming console? Well, if you still have a first-generation console in your system, you'll be thrilled with all the changes available from the latest boxes. The big question on most people's minds this season is whether to upgrade to the Xbox One or Playstation 4, and the answer for home theater and music lovers is clear: PS4 only allows integration with its clunky, proprietary Music Unlimited System. Xbox One, on the other hand, has MP3 support, DLNA (Digital Living Network Alliance®) streaming, audio CDs, and a clear desire to become your family's media hub. Price at launch: $499. It wouldn't be an Axiom List without a .1, so for the whimsical Star Wars fan in your life, why not pick up the Hans Solo fridge? 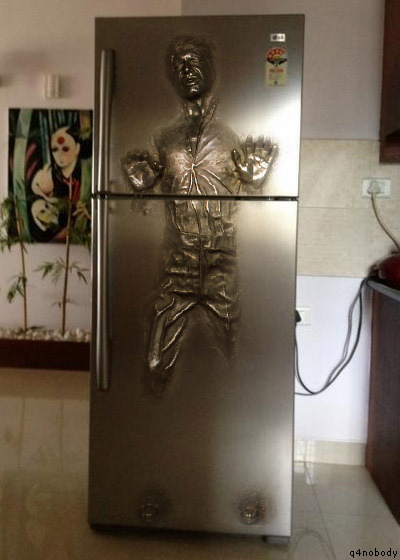 First spotted online in the very amusing BT3A refrigerator challenge, this so-far-just-a-dream fridge of Han Solo frozen in carbonite is a way cooler addition to your home theater's snack bar than a Skyways Airmail Catalog popcorn machine! 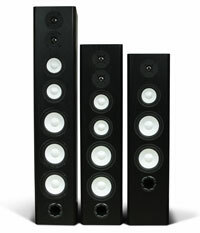 There you have it: the top 5.1 gifts for the home theater lover on your list! Did we miss any must-haves? Anything hot on your list? Weigh in in the comments below!